(China Glass Network) In recent years, India increased the construction of infrastructure, promoting the growth of demand on building products. It also droved the development of India glass industry. With the influence of positive factors in India industry, numbers of glass enterprises from Southeast Asia participated the 9th International Glass Industry Expo of India, which is the largest and most professional international glass exhibition in India. With the support of numerous exhibitors and visitors, the expo was successfully closed on Dec.11, 2011. 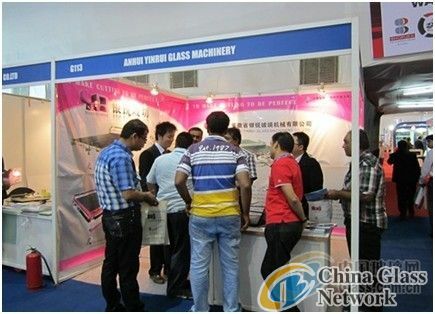 Anhui Yinrui Glass Machinery Co., Ltd. was invited to the exhibition as the professional manufacturer of glass cutting equipments in China. The company also gained lots of orders from the expo. 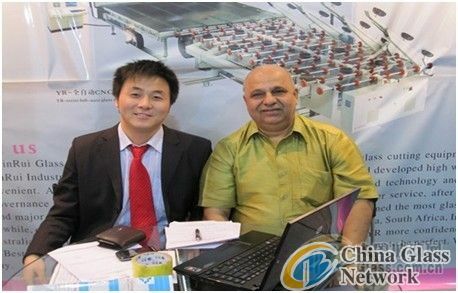 Yinrui Glass began to explore the India market two years ago. Now it owns many cooperative enterprises in India. At the exhibition, Yinrui Glass was popular among the exhibitors and visitors. Lots of audiences came to the booth to ask for information about Yinrui products. After communication and negotiation with the customers, Yinrui Glass won high praise of high quality products and professional service. Dozens of enterprises signed cooperation agreements with Yinrui Glass at the scene. Several enterprises expressed their cooperation with Yinrui Glass.